Three little Bobbleheads line up for dinner. In March, 2018, the American Eagle Foundation began live streaming a Bald Eagle nest in Sevierville, TN. This is the treetop home of Lady Independence & Sir Hatcher II located in the foothills of the Smoky Mountains. Read the entire story of the history of this nest and the eagles that call it home. 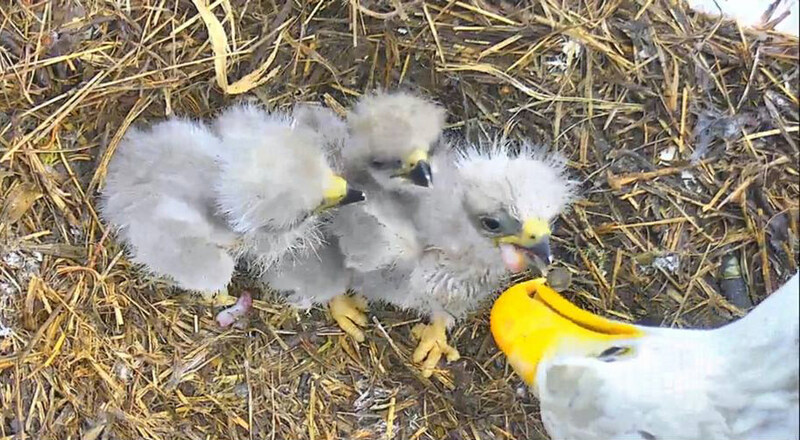 Right after Easter, the population of the nest home grew by three, to the absolute delight of everyone watching the cam. 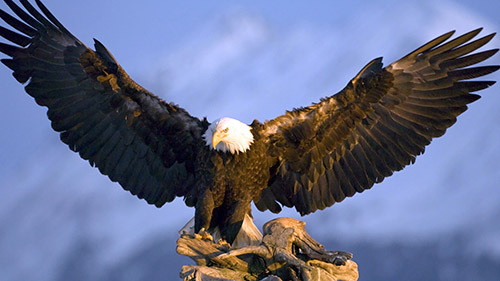 The eaglets are the 14th, 15th, & 16th hatched from eggs laid by Lady Independence. They are being called (for now), SM14 (hatched 4-3-18), SM15 (hatched 4-4-18), & SM16 (hatched 4-6-18). Previously, 13 eaglets have been raised by Lady & SIr Hatcher I, but this year, Lady returned to the nest with a new mate, named Sir Hatcher II, in honor of Tennessee conservationist and dedicated supporter of the American Eagle Foundation, Bob Hatcher. Lady is a remarkable mom, patiently and skillfully caring for her babies. Lady typically lays 3 eggs each season, and has a great history over the years of successfully raising all the eaglets. Sir Hatcher II could not be a better provider. 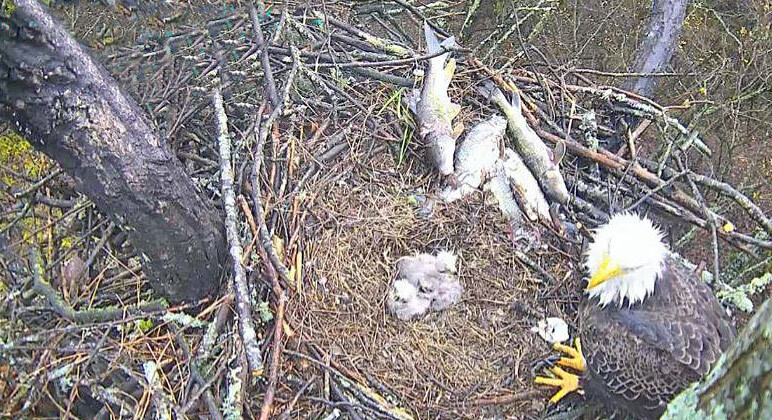 The nest is stocked to the brim with fresh fish so that Lady and the eaglets will never lack for food. Sir Hatcher II provides his eagle family with a well-stocked pantry. Watch live at smeaglecam.org and see every important moment in the nest, as the 3 little eaglets learn the skills they will need to survive in the wild. We have many YouTube videos featuring this eagle family, and more videos are added to the playlist nearly every day. Watch special memories here.